This is a handy little kit to have, really good for travelling. Renovate: a super-concentrated cream with seven essential oils and diamond particles to help smooth, polish, and hydrate nails. Duplex Buffer: - for ridged, cracked and flaking nails, to use in combination with Renovate. Mini Crystal Nail File - the finest lead crystal is carefully treated to create the perfect nail file, smoothly the nail completely. Curved Nail Clipper - perfect for trimming nails before filing. Renovate and Buffer - I have used this for over a year and find it does help, my nails aren't particularly problematic so I imagine if yours are then this would help your nails even more. I need to do a separate review of this combination. Clipper - Quite small, I don't clip my nails I prefer to file the length down. This is great for nipping hangnails. Hoof Stick - This is plastic which is a lot kinder to cuticles than traditional orange sticks. 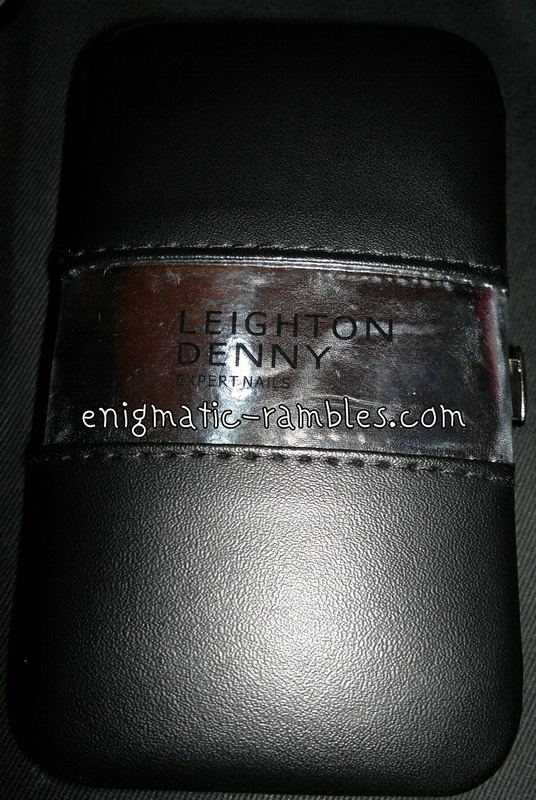 The action ends of this are the same as the standard size Leighton Denny hoof stick, just shorter in length. 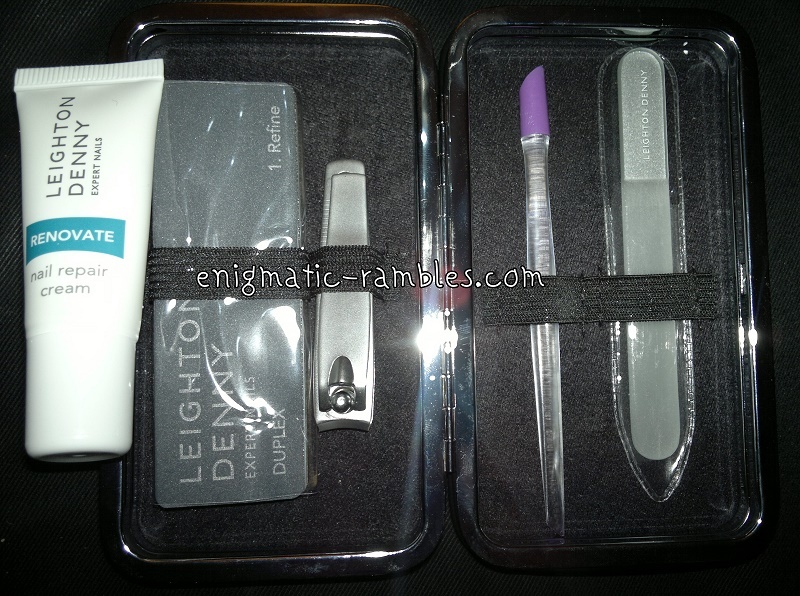 Mini Crystal File - The file is perfect for travelling, I am a fan of the standard length file and it is so gentle to your nails that it means your nails don't snag on your hair or tights etc. [full size file review]. This set cost £15, which I think is a good price. Keeping in mind that Renovate and the Duplex Buffer costs around £13.25 on its own, the Hoof Stick around £1.10 and the regular sized Crystal File is around £12.50 which means the set is quite a good bargain if you were looking for some of these things to try out.